A programme that uses birds of prey in place of pesticides has inspired international collaboration. Josie Glausiusz is a science journalist in Israel. In early 1982, the Tel Aviv University zoo in Israel presented ornithologist Yossi Leshem with an unusual gift: 15 barn owls. The zoo had an owl surplus, and Leshem said he could make use of them. He packed the birds into a van and drove them north to a kibbutz in the Hula Valley. There, farms were plagued so badly with voles that in some years entire fields would echo with their high-pitched squeaking. Leshem, who was working for the Society for the Protection of Nature in Israel, was worried that to control the pests, farmers were overusing a rodent-killing chemical called sodium fluoroacetate, or compound 1080. It had been banned a decade earlier in the United States because of its toxic effects on grizzly bears, hawks and eagles; in Israel, it was killing migrating birds and native egrets. Leshem thought that barn owls (Tyto alba), which like to prey on rodents in agricultural fields and are comfortable living close to people, might be the solution. They could control the rodents naturally. That year, the farmer with whom Leshem planned to work was called up to the Israeli army to fight a war in Lebanon — and was killed. Leshem, who also served in the war, was undeterred. He relaunched his experiment the next year with the help of another farmer, setting up owl nest boxes at a kibbutz called Sde Eliyahu, farther south in Israel’s Beit Shean Valley. More than three decades and numerous conflicts later, the barn-owl approach to controlling rodents has succeeded beyond Leshem’s wildest expectations, spreading across much of Israel and into the neighbouring Palestinian territories and Jordan. And the work has brought together Arab and Israeli scientists at a time of increasing political tensions. “Birds have the power to bring people together, because they know no boundaries,” says Leshem, who now also works at Tel Aviv University. In January, researchers from the Middle East, Mediterranean and North Africa met at a Dead Sea resort in Jordan to see barn-owl nest boxes in the field, discuss scientific findings and hatch plans for similar efforts in Egypt, Cyprus, Greece, Tunisia and Morocco. The programme benefits farmers, biodiversity and sociopolitical networks alike, says conservation biologist Sara Kross at California State University in Sacramento, who in March will host some of the researchers involved in a joint US–Israeli workshop on the topic. Proponents say that the project is more important than ever following US President Donald Trump’s announcement in December that the United States would recognize Jerusalem as Israel’s capital, which strained relations between Israel and its neighbours. “It’s hard to ask people in Jordan, or other Arab countries, to cooperate with Israelis in light of Trump’s announcement,” says Mansour Abu Rashid, who works with Leshem and directs the Amman Center for Peace and Development, a non-governmental organization dedicated to promoting dialogue between peoples in the Middle East. “Scientists should continue their cooperation for the benefit and peace of people in the area,” he says. The owl project did not start smoothly. The first nest boxes, imported from Europe, were not designed for the hot climate, and they baked some baby owls to death. But within about 15 years, the project expanded to the entire Beit Shean Valley, covering about 16,000 hectares, says Shaul Aviel, the Sde Eliyahu farmer who worked with Leshem to start the programme there. The first signs of victory, he says, were in date plantations. Rats can climb and nest in the date palms, and rat-gnawed dates contaminated with droppings cannot be sold. But the damage disappeared when the barn-owl initiative was established. Aviel says that the programme “works 100%” in wheat, dates, olives and pomegranates. But the owls aren’t sufficient to protect all crops; rodents find the green shoots of alfalfa, for instance, irresistible. Israeli farmers caught on to using the owls, but Leshem realized there was a problem with the programme. Young owls raised in the nest boxes in Beit Shean Valley were spreading through the Jordan Valley, which is shared by the Palestinian territories and Jordan. When they flew over borders, the owls were sometimes poisoned by rodenticides. But in 2002, Leshem met and began collaborating with Abu Rashid, a retired Jordanian army general who was a key architect of the 1994 Israel–Jordan peace treaty. And by 2008, after some setbacks caused by more political violence in the region, Leshem, Abu Rashid and Imad Atrash, the director of the Palestine Wildlife Society in Beit Sahour, gained funds from the European Union and the US Agency for International Development to launch the project as a cross-border programme. Researchers set up nest boxes in study sites across three areas of the Jordan Valley, trained farmers and educated local communities about the programme. Now, there are thousands of nesting boxes in Israel and hundreds elsewhere in the region (see ‘Birds across borders’), although curious children have vandalized some of the boxes in the Palestinian territories, Atrash says. 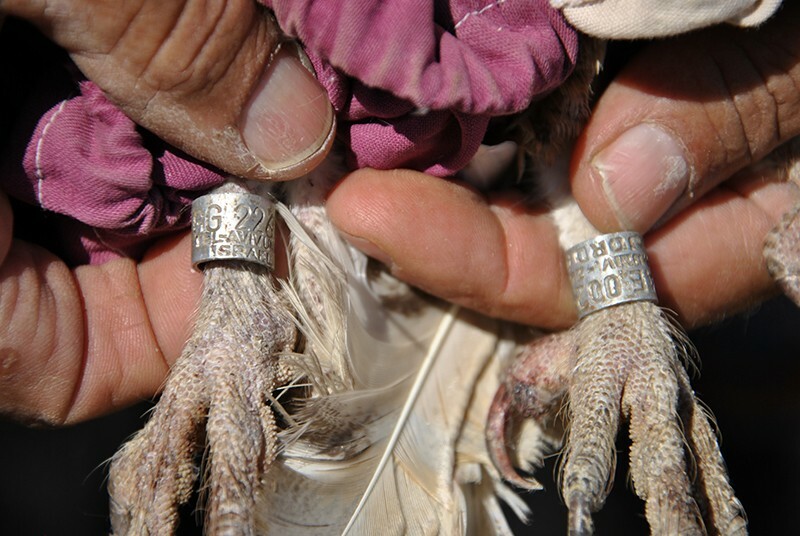 Although sceptical of the birds at first — the ghostly white owls are considered a bad omen in many parts of the Middle East — most farmers change their minds after seeing the project’s results, says Abu Rashid. In the Middle East, a pair of barn owls can eat between 2,000 and 6,000 small mammals a year. “The farmers feel it in their yearly production,” he says. Other natural predators of rodents, including kestrels, foxes, jackals and storks, also come in when rodenticide isn’t used, he says. But the best evidence that the barn owls are effective, says Yoram Yom-Tov, a zoologist at Tel Aviv University, is that farmers — who care about their earnings per acre — choose to use them rather than spray chemicals. And at the Dead Sea conference this January, ornithologist Alexandre Roulin of the University of Lausanne in Switzerland reported yet-to-be published work showing that the barn owls’ white coloration might enhance their hunting success. Mice are naturally averse to bright light, so they tend to freeze in response to the owls’ ghostly white shine. Roulin, who began collaborating with the project eight years ago after he met Leshem at a scientific meeting, found that on moonlit nights, this effect is enhanced; the Moon’s glow makes the owl’s plumage brighter, making the rodents freeze for longer periods of time. 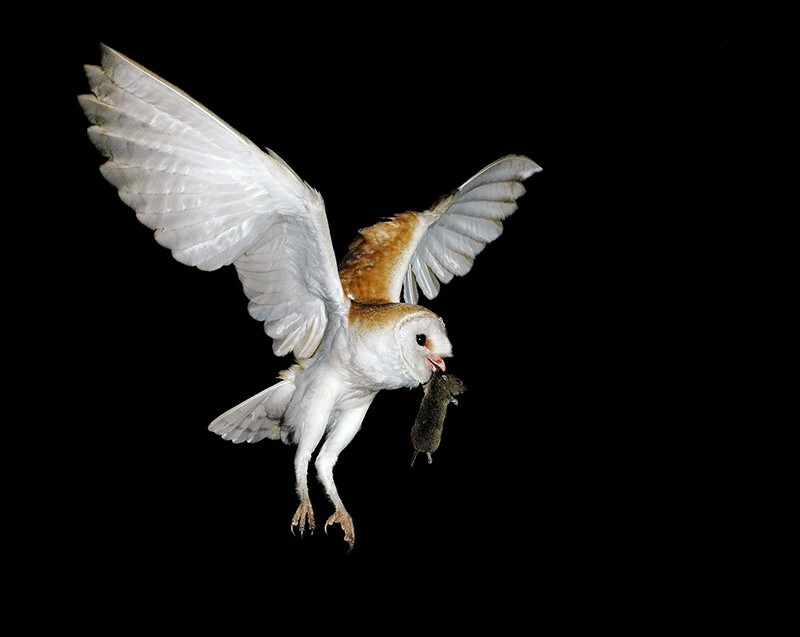 Israel, Jordan and the Palestinian territories are not the only places where barn owls have been used to control pests, although they are home to the only cross-border programme. Farmers in Malaysia have used barn owls since 1988 to control rodents in palm-oil plantations — although the government also promotes rodenticide use, says Charter. In California, some farmers have started using barn-owl and kestrel boxes to protect citrus orchards, walnut trees, vineyards and other crops, says Kross. The notion of birds as biological controls dates back to the nineteenth century in the United States, she says, as part of a field called economic ornithology — then defined, according to an 1899 review, as “the study of birds from the standpoint of dollars and cents”. But once pesticides became widespread, the idea died out. Now, the practice is slowly being revived, largely by word of mouth. Kross and other scientists are watching the Jordan Valley results with interest. “It’s a fantastic project,” says Javier Viñuela, an ecologist at the Hunting Resources Research Institute in Ciudad Real, Spain. In his own country, Viñuela has been collaborating with the non-governmental conservation organization GREFA, which has set up some 2,000 nesting boxes for barn owls and kestrels to control vole numbers. Small-scale experiments inspired by the Israeli experience have started in Argentina and Uruguay, says Charter. And in Cyprus, 27 barn-owl nesting boxes were installed in a pilot collaboration with Israel in 2015; the aim is to install around 60 more this year, says Elena Markitani, a development officer at the non-governmental organization BirdLife Cyprus, which works to conserve wild birds in the country. Martin Hellicar, director of the organization, says that the Middle East programme is a “fantastic thing to try and copy–paste, adapting it to local conditions”. Besides the Israeli project, however, there is a dearth of robust data on the use of owls to control rodents, says Lourens Swanepoel, a conservation ecologist at the University of Venda in Thohoyandou, South Africa. Can old computers bring Palestinians and Israelis together?